When Vince McMahon Jr. decided to break down the territorial borders en route to national expansion, the quality and number of talents that the WWF could have on the roster became an issue of importance. A, B and even C groups explored places in America that the Federation had never booked before, the necessity to have names that would bring people into the building was clear. With so much money being spent on taking TV slots and booking buildings, the attempt to become the only player that mattered in the US would falter if tickets weren’t being sold. Often, McMahon would seek to buy in talent that had been successful in other territories, putting them in prominent positions when it came time to invade their rivals. In the early expansion months, McMahon looked to buy in ‘ready-made’ stars – wrestlers who already were popular in their own territory. It was an obvious decision to make; bring in another promotions’ stars, and you not only bolster your own territory, but you also weaken your rivals in the process. One such acquisition was Roddy Piper. Having made his name in Portland, alongside time spent in the national television window when involved with Georgia Championship Wrestling and a high profile dog collar chain match against Greg Valentine at Starrcade ’83, Piper was exactly the type of star McMahon was looking for. Whilst his in-ring ability and undoubted talent on the microphone were valuable, he was a known face that would drive people through the turnstiles or make them stop what they were doing and watch him on television. The only real problem upon hiring Piper was that he wasn’t able to fight initially. Injuries suffered in the aforementioned match with Valentine left him needing a reduced schedule in order to recuperate. Placing Piper in a position where his motor mouth could be best used, McMahon gave him Piper’s Pit as well as made him a manager for Paul Orndorff and Dr. D. David Schultz. Piper was in a position to build up his heat with the crowds whilst allowing himself to heal fully. Some tag and six-man matches would see Piper team with his charges, but it wouldn’t be until March before he stepped into a WWF ring for a singles match. McMahon couldn’t always just buy in stars who had made their names elsewhere. Occasionally, he would need to build someone up or help to launch their WWF career in a manner that made them stand out. It was the most infamous episode of Piper’s Pit that would eventually allow the promotion to re-debut The Tonga Kid in a fashion that threatened to rocket the youngster up the card. Having been taped in March for the St. Louis market, but aired as late as June nationally, Piper’s attack of Jimmy Snuka was violent, whilst Snuka’s attempts to get back at his assailant were animalistic in nature. This later airing of the Pit was to coincide with a sequence of matches between the two, even leading to a match from Madison Square Garden being shown on WWF Championship Wrestling, a rarity for a programme that usually just included squash matches. After Piper had defeated Snuka by count out in a heated brawl, a chair shot would effectively write Snuka off of television for the time being. With a crowd ready and willing to get behind anyone who was going to stand up to Piper, McMahon made the clever decision to re-introduce The Tonga Kid. Having been branded as ‘Samoan #4’ the previous year and made a few television appearances under his eventual name as we headed into 1984, the Kid would have a break from the promotion, heading to Southeastern Championship Wrestling to form a brief tag team with Johnny Rich dubbed ‘The R.A.T. Patrol’. They’d win the NWA Southeastern Tag Team Titles, before losing them back to Arn Anderson and Jerry Stubbs a little over a month later. The Kid had bigger things in his immediate future, after all. 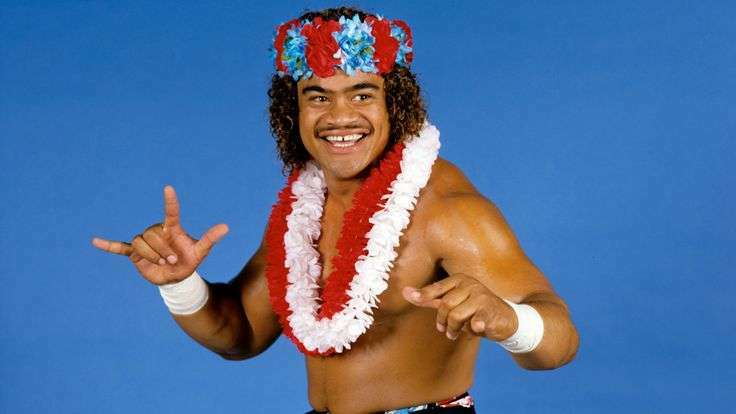 The Tonga Kid would re-debut on an episode of Championship Wrestling in the middle of a Piper’s Pit with the Executioner. Positioning himself to the fans as Jimmy Snuka’s cousin, the Kid made it clear that he wanted a match with Piper to gain a measure of revenge for his family. Ever the coward, Piper would only agree to a match on the proviso that Kid beat the Executioner the following week. Though Championship Wrestling was primarily about showcasing the stars in squash matches, there would be times when a short feud or mini-storyline would be developed over a number of weeks just to give the fans a little extra. It would take the Kid only three minutes to dispatch of Piper’s surrogate, and though he would whiff early on a leapfrog, the crowd were excited by his athleticism, including the top rope splash made so famous by his ‘cousin’. 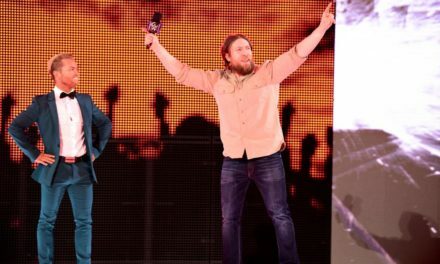 The Kid had earned a shot at revenge and would fight Piper on the next episode in a higher profile match than might usually end up on the show. Piper would look less than pleased as he made his way down to ringside, though this was soon shown to be a means to sucker Kid in to try and attack the Rowdy one. A trip by Piper had him in control and swinging for the fences as soon as the match officially began, with a wad of spit for good measure just to show how little he thought of the Kid. It took Kid’s athleticism in nailing a crossbody for a near fall, as well as Piper’s own mistake in trying to turnbuckle smash an Islander, to allow the Kid a route back into the contest. A jumping headbutt after an Irish whip would have Piper in trouble before a kick to the midsection was suspiciously low from the rookie. Sensing the danger the Kid brought to this contest, Piper would use the momentum of his charging opponent to send him over the top rope, whilst using this break to grab a chair. Piper would almost destroy the chair in a missed swing at his opponent, the steel coming down on top of the ring post and bending significantly upon impact. A punch led to a diving headbutt that had Piper convulsing on the canvas, and basically out for the count. However, rather than pin Piper, the Kid grabbed the chair and wailed away on the man who had so egregiously assaulted Jimmy Snuka. The end result may have been a disqualification win for Piper, but even with Greg Valentine, Nikolai Volkoff and the Iron Sheik coming to the heel’s aid, the Kid was still able to land several more shots as the crowd was red hot. The often sedate world of Championship Wrestling had been brought alive by the heat towards Piper and Kid’s vengeful assault. The match felt like a star-making turn, but one match is never enough. Though Kid would end up feuding with Piper on house shows, often alongside the returning Snuka, Kid would be out of the door by the start of 1985. He would make a second return to the promotion under the guise of Tama, hooking up with Haku as one of the Islanders, but in a crowded tag team division, they were never quite amongst the elite. For someone who had entered the promotion to such a reaction, that he would effectively be semi-retired by the tail end of 1990 was a real shame. Whatever potential the Kid had, it was never fully realized. Or maybe, just maybe, this is all about the molten levels of hatred Piper garnered from the crowd. Kid was in the right place, at the right time, with the right heritage to profit at the moment, but never had the legs to keep it going. Either way, it was a great moment on a show that didn’t always move out of second gear. This night, they gave the fans something to sink their teeth into. PreviousOpen the Voice Gate #34: Painting it R.E.D.